When you are planning a Citrus County fishing trip for the first time, it is important that you do a little research so that you are prepared for the activity. There are a few common problems that people encounter when they are on the water. Don’t worry though… an experienced guide can help you avoid the things that many beginners do wrong. Forget the Drinks and Snacks: Fishing is an experience, which means that you need to have a cool drink in hand to enjoy it! Bring your cooler with your favorite drinks and snacks for the day. Not Packing a Lunch: In addition to the snacks, you also should have lunch to curb your appetite when the hunger hits. You can’t cook those fish on board the ship, so a sandwich can be a great option to tide you over until dinner. 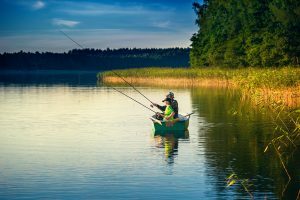 Leaving the Net at Home: The fishing pole will reel in your catch, but you need to be sure that you have a net to catch the fish when it comes out of the water. Double check your fishing gear to ensure that you have all of the equipment that will be needed for the day. Skipping the Sunscreen: Even if you regularly spend time in the sun, the reflection on the water can increase the rays that you will get for the day. Apply sunscreen often so that you aren’t burned to a crisp later that night. Forgetting to Protect from the Bugs: When we are spending time in marshy areas, keep in mind that the bugs might start biting! The best way to protect yourself is with high-quality bug spray applied when the bugs start to come out. Failing the Prepare the Boat: Before the boat goes in the water, it is important to check the gas tank and other safety features on the vessel. Instead of risking the safety of your family, it is better to hire a fishing charter so that the Captain can care for these details. Leaving the Camera in the Bag: Bring your camera along so that you can capture some of these fun family memories. Make sure that it is easy to access, so you are ready when your child catches their first fish! It is fun to start a new hobby, such as fishing. When you are getting started, the best thing that you can do is hire a guide to teach you the basics of fishing. 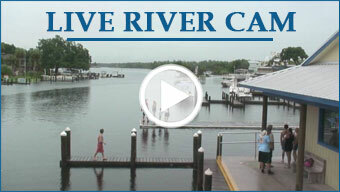 Having a Citrus County fishing guide for the day will ensure that you have a great experience.